Bruxism, also known as teeth grinding, is another cause of tooth trauma. Whether dental trauma or simple tooth neglect has lead to one missing tooth or several broken or missing teeth, the changes they cause to your bite can lead to TMJ. Dental crowns and bridges could help. As a TMJ treatment, this simple dental restoration repairs damaged teeth to bring balance back to your bite, reducing the pain and strain on your temporomandibular joint. When you suffer oral trauma, disease or decay that causes you to lose one or more teeth, the missing spaces can cause a misalignment in your jaw, leading to painful TMJ symptoms. 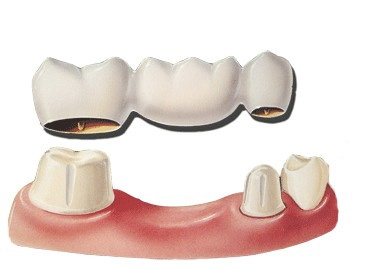 A dental bridge literally bridges the gap left by the missing tooth/teeth to restore your bite and bring a healthy balance back to your jaw. Dr Shapira begins the treatment by placing crowns on the the teeth on either side of the gap. There are called the abutment teeth. The bridge is attached to the abutments, just like the bridge you cross on the way to work. Made from porcelain, metal or resin, the bridge not only helps to treat TMJ, it also enhances your smile. When you have a missing tooth or missing teeth, the impacts can feeling self-conscious about your smile. 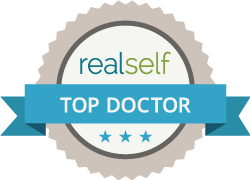 Many patients discover that they have back pain, chronic headaches and other symptoms that keep them from living their regular lives. Can repairing or replacing your teeth help you resolve your TMJ pain? 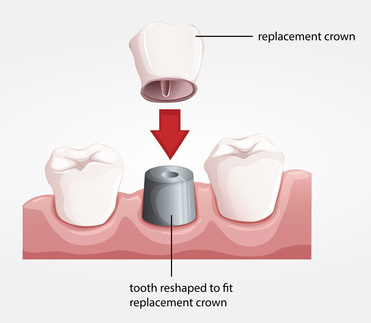 Find out by booking a dental crowns and bridges consultation with Dr. Shapira.